Abigail maintains a general civil practice, with personal injuries, tort/contractual/commercial litigation being an area of focus, and a growing emphasis on work done on behalf of the Government, in the sphere of administrative law, particularly regulatory, tribunal, and disciplinary matters. 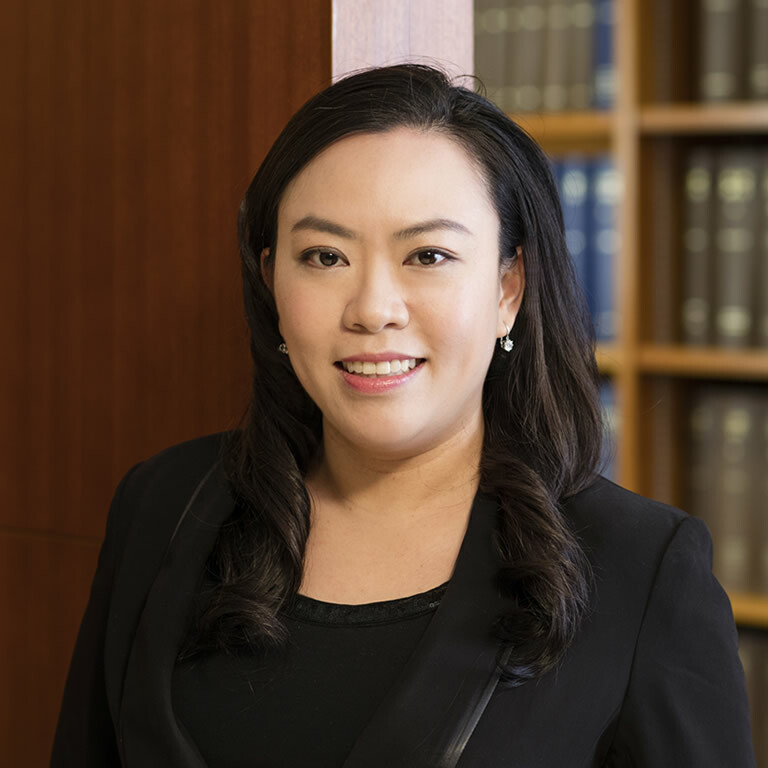 She has accumulated solid experience in drafting pleadings, advices, submissions, as well as other court documents, and is at ease conducting trials in the civil courts on her own, although appearances for interlocutory applications are commonplace. Abigail has been on the Duty Lawyer Scheme since mid-2005 and the Legal Aid Panel since January 2006. Besides the regular, ad hoc appointments as legal advisor to various boards and committees, she is currently appointed as legal advisor to the following on fixed-term basis: the Chinese Medicines Committee of the Chinese Medicine Council, the Fishermen Claims Appeal Board and the Licensing Appeals Board. Lately, Abigail has been appointed as a Member of the Town Planning Appeal Board, also the Appeal Board and its Rules Committee under ss.10(2)(c) and 17(1)(c) of the Accreditation of Academic and Vocational Qualifications Ordinance (Cap. 592) and sits as an Adjudicator of the Registration of Persons Tribunal and the Appeal Panel (Housing). With effect from 1 January 2018, Abigail will sit as Deputy Chairman of the Appeal Board Panel under s.15 of the Toys and Children’s Products Safety Ordinance (Cap. 424).